How much is Tupac Worth? Tupac (2Pac) Net Worth: Tupac was an American rapper and actor who had a net worth of $40 million dollars. A hugely successful rap artist and actor, Tupac was known for his highly political and socially conscious lyrics. To date, he has sold more than 75 million records internationally. He was murdered in Las Vegas in 1996 at the age of 25. Born Tupac Amaru Shakur (June 16, 1971– September 13, 1996) in New York City, NY, he was also known by his stage names 2Pac and briefly as Makaveli. He started his music career as a roadie, backup dancer, and MC for the alternative hip hop group Digital Underground. 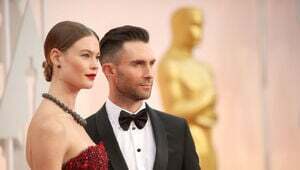 He entered the limelight after launching a solo career. 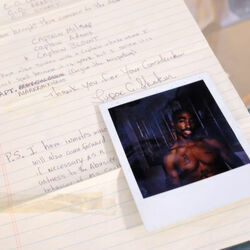 As a solo artist, Tupac released five studio albums; 2Pacalypse Now (1991), Strictly 4 My N.I.G.G.A.Z. (1993), Me Against the World (1995), All Eyez On Me (1996) and The Don Killuminati: The 7 Day Theory (1996). 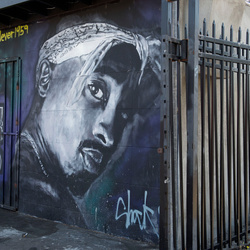 Tupac was deeply connected to the so-called East Coast/West Coast hip hop rivalry during the latter part of his career. He was often engaged in conflicts with other rappers, producers and record-label staff members, most notably with Notorious B.I.G., Puff Daddy and their Bad Boy Records label. Most people believe that this rivalry with B.I.G. and Diddy is what ultimately resulted Tupac being shot multiple times in a drive-by shooting in Las Vegas, Nevada on September 7, 1996. He passed away six days later. Six more albums were released posthumously. 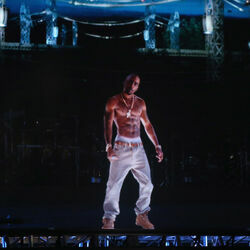 Today Tupac is one of the best-selling music artists in the world. He was most appreciated for using politically and socially conscious themes in his songs sometimes initiated by his family experiences. His mother was a member of the Black Panther Party. Tupac was also an actor who appeared in several movies including 1992's Juice and 1993's Poetic Justice.